Lots of aspects are marketing can seem challenging to track--but they aren't. Find out how to use UTM tracking to measure online and offline marketing. The biggest struggle with data is that it is ridiculously easy to lie and manipulate with it, even if you don't mean to do so. Find out some ways to avoid this trap in Matthew's latest post. Do you know the right ways to optimize your website, app, product or business? Do you know exactly what you want and how to measure it? 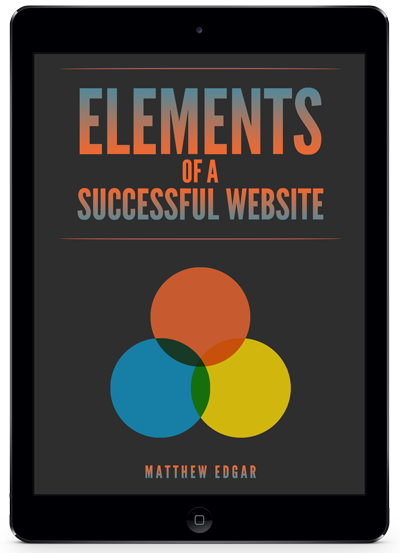 In this post, Matthew offers five guidelines to help improve your optimization efforts. Google has discussed rolling out a "mobile first" index - but why should mobile be on first? Matthew digs into the data to show that not all sites really are "mobile first." What is the difference between CRO, UX, SEO, IA, analytics, tech marketing and more? How do these relate and overlap? What does that mean for my clients? Technical SEO and user experience serve similar purposes. As a result, they have way more in common than most people might think. Find out what those similarities are and what it means for your website. You can't convince people to get things they don't want to get, at least not in any meaningful or sustainable way. Instead, you have to understand what people want and deliver that. When approaching a big project, learn why it is better to find ways to "optimize" instead of "overhaul". Overhauling is risky and can lead to disaster. Read on to learn more about the benefits of optimizing. How does a website redesign affect SEO performance? In this blog post, see five case studies of how a redesign can affect organic traffic. In today’s immediate gratification world, businesses often look for a quick answer to get more leads and sales. Many companies out there are willing to play into this impatience by selling you a solution guaranteed to drive leads and sales right now. But that isn't the path to success.